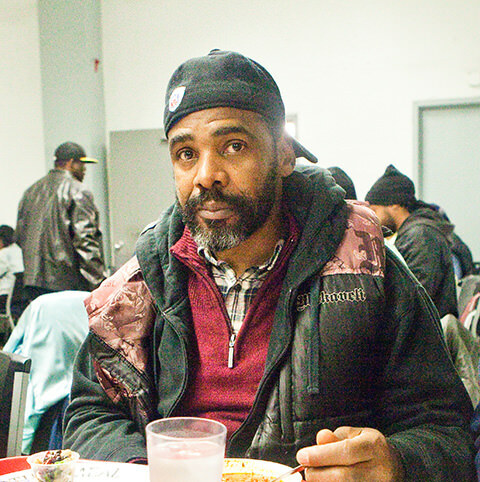 There are hundreds of men and women experiencing homelessness on the streets of Philadelphia. Tackling the crisis of homelessness can be a daunting and overwhelming task, but by helping to serve a meal you can begin to change lives. We invite you to serve as an individual or with a group, and be a part of the fight against hunger and homelessness. It doesn’t take much to make a difference! Volunteers must be fourteen years or older, willing to serve for approximately an hour, and have the ability to stand on their feet for the duration of a shift. Volunteers are expected to assist with meal service preparations and remain fifteen minutes after service concludes to help with cleanup. If you are interested in more volunteer opportunities then please visit our Volunteer Job List for a complete list. Feel free to contact our Volunteer Coordinator with any questions or to schedule a larger group by emailing volunteer@sundaybreakfast.org.